More than just a building company, Qspec prides itself on creating access and mobility building solutions that improve the lives of the elderly and disabled in the community. Each job is as unique as our clients needs so we work closely with you to install the right mobility solution to allow self-reliance within the home. 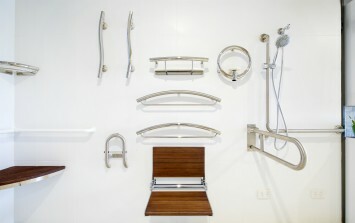 Qspec creates beautiful and innovative bathrooms, kitchens and whole house renovations giving our clients independence and confidence now and in the future..
Qspec keeps abreast of the latest assistive technological advances. Our solutions create freedom and independence for the individual. Qspec Building Mobility Solutions is a mobility specific building company specialising in both minor and major home modifications for people with mobility and access needs. Qspec delivers on the clinical prescriptions of Health Professionals and creates safe and independent solutions for clients on a daily basis. Qspec is the go-to company for minor and major home modifications. 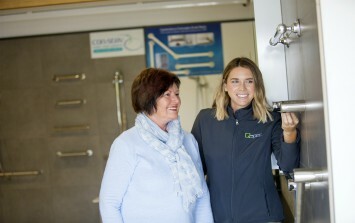 …all round great service this team offers! “As an Occupational Therapist with 15 years experience, I have worked with Ryan and the team for three years now. Working in the community you come across such a variety of home environments, tricky spaces (think tiny bathrooms!! ), and there has not been ONE occurrence that Qspec hasn’t been able to deliver a 110% outstanding outcome! They have been able to create rails (just to name one) for me that have been such an out of the box innovation, that have enabled my clients to be safe and independent once again. 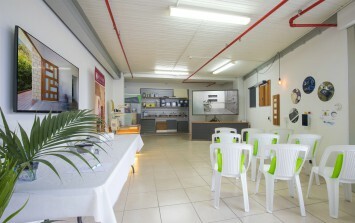 Our showroom is located at 2/82 Sugar Road, Maroochydore. It has been specifically designed so that Health Professionals and their clients can visit to view the range of products and services that we supply and install.